Do citizens get the protection provided by the constitution? Confessional statement recorded under section 164 of Criminal Procedure Code plays a significant role in administration of criminal justice. Article 35(4) of our constitution precisely states that no person shall be compelled to be a witness against himself. But the law enforcement agencies are allegedly continuing frequent infringements of this constitutional binding in the name of remand, which is designed to interrogate the accused. This article will attempt to find out how far of this constitutional protection has been ensured in our legal arena. Confession may be either judicial which is made only to the courts or Magistrates, or extra judicial which is made to any person other than courts or Magistrates. Criminal Procedure Code has provided the procedures of recording confessional statement. Section 164 of the Code has empowered Magistrates to record confessional statement. The Magistrates must follow the procedures of Section 364 of the code in so doing. 'I have explained to (name) that he is not bound to make a confession and that if he does so , any confession he may make may be used as evidence against him and I believe that this confession was voluntarily made . It was taken in my presence and hearing, and was read over to the person making it and admitted by him to be correct, and it contains a full and true account of the statement made by him. We therefore, observe that voluntary nature is the essence of a confession. Confessional statement made under compulsion is of no effect. This section has thus protected the constitutional right of individuals as has been enshrined in article 35(4). Recently High Court Division has instructed the magistrates to give the accused at least three hours to think in a cool head whether he would confess the matter or not. Again the magistrates are bound to follow the procedures stated in section 364 which says that the courts or magistrates shall record the examination of the accused in full, in the language in which it is written if practicable, and such record shall be shown or read over to him. Every question put to him and every answer given by him shall be recorded in examining the accused. The record shall be signed by the accused and the Magistrate or Judge of such court and shall certify under his own hand that the examination was taken in his presence and hearing and that the record contains a full and true account of the statement made by the accused. A confession is received in evidence on the presumption that no person will voluntarily make a statement which is against his interest, unless true. The force of a confession depends upon its voluntary character. If the making of the confession is proved beyond question it is the highest sort of evidence, and one of the most effective proofs in law. Sections 24-30 of Evidence Act have provided provisions protecting constitutional right of individual u/art.35 (4). Section 24: Under this section a confession is rendered irrelevant if it is caused by inducement, threat, or promise. Such inducement, threat or promise should have proceeded from a person in authority, and sufficiently give the accused person reasonable grounds for supposing that by making the confession he would gain an advantage or avoid any evil of a temporal nature in reference to the proceedings against him. Section 25: No confession made to police officer shall be proved as against a person accused of any offence. Section 26: No confession made by any person whilst he is in custody of a police officer, unless it be made in the immediate presence of a Magistrate, shall be proved as against such person. The object of these two sections is to prevent the abuse of the powers by the police. A confession is admissible, if made to a Magistrate or to a person other than a police officer but in the immediate presence of the Magistrate, but it will be inadmissible if it is made to police officer even in the presence of a Magistrate. Sections 24, 25 & 26 have excluded confessions as evidence. But these sections have an exception which has been stated in section 27 of the Evidence Act. Under this section, when any fact is deposed to as discovered in consequence of information received from a person accused of any offence , in the custody of a police officer, so much of such information, whether it amounts to a confession or not , as relates distinctly to the fact thereby discovered, may be proved. So it is clear from these sections that a confessional statement made to a police officer is inadmissible in evidence. But such improperly obtained statement (whether amounting to confession or not) may lead to the discovery of facts, things, documents etc. When a statement leads to the discovery of some dead body, weapon or ornaments, the presumptions of falsity attached to the excluded confessions disappears and that part of the information which relates distinctly to the discovery of a fact is held to be admissible by the theory of confirmation by subsequent facts. What we have observed in the foregoing discussions is that the statute has fully ensured the constitutional protection enshrined in art.35 (4) of Bangladesh Constitution. Section 164 of Criminal Procedure Code has provided provisions which have guaranteed the voluntary nature of a confession. Again the provisions contained in sections 24, 25, 26 of Evidence Act have omitted to confer evidentiary value on a confession given under inducement, threat or promise, any confession made to the police officer, or in the police custody. So theoretically everything is o.k. No person is compelled to be a witness against himself. The court will take a confession into account only when it is satisfied that it has been made voluntarily, freely and under no compulsion. 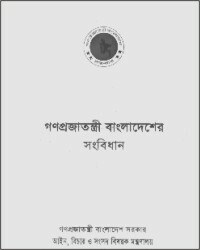 The writer is Lecturer, Department of Law, Uttara University, Uttara, Dhaka.